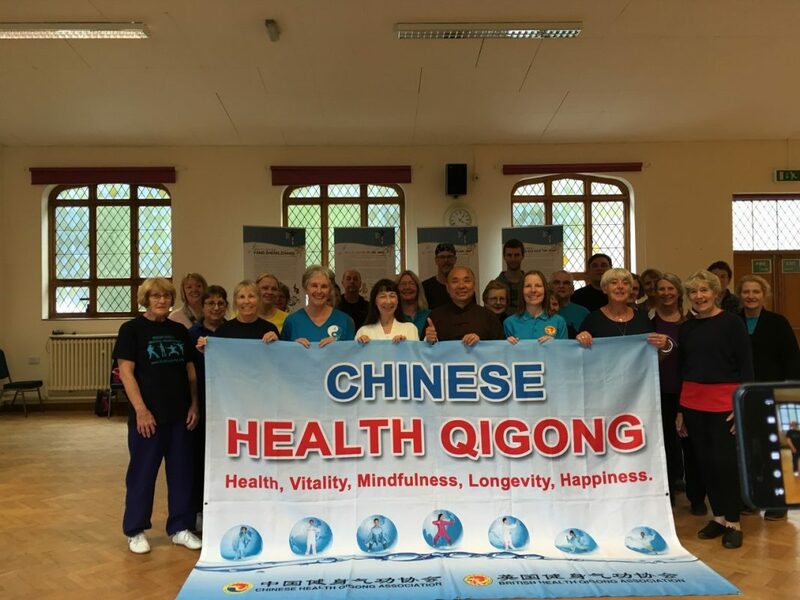 Saturday 8th September was designated World Health Qigong and here in Liverpool we were fortune to have Master Tary Yip, of the BHQA, booked in for that date to do our annual seminar. Upon Tary’s arrival it was evident we were in for a treat. Tary brought along some of the health qigong banners used at the Health Qigong Games just a week before so this was a lovely back drop to the morning’s proceedings. He started with a warm up routine which was a medley of movements from the various health qigong sets. There are nine sets in total and details of them all can be found on the BHQA website. The rest of the morning was dedicated to Liu Zi Jue – The Six Healing Sounds. For some students this was a chance for some tuning of what they had already learnt in class and for others it was a totally new experience. The BHQA runs instructor courses each year on the Health Qigong sets. The courses are held in May and there are always four sets on offer to choose from. Qigong masters from China deliver the sessions, along with Masters Faye and Tary Yip. The courses are always well attended and early booking is recommended. If you want to learn Health Qigong there is a full list of instructors from around the country and Europe on the BHQA website. You can read more about Health Qigong here. Pictures from the session can be viewed here.